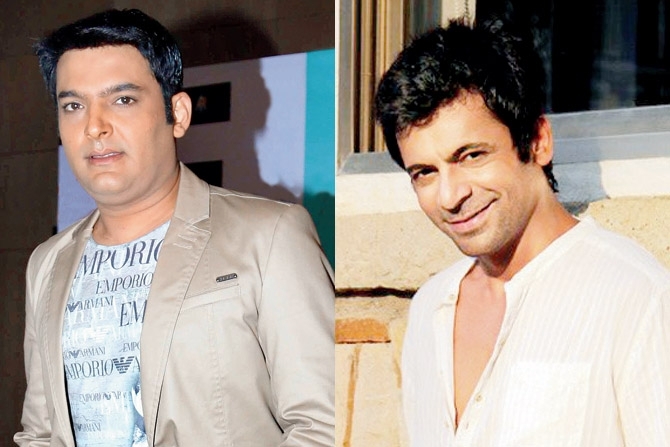 Comedian Sunil Grover wished luck to his former "The Kapil Sharma Show" co-star Kapil Sharma for his upcoming show despite the latter accusing him of lying. But Sunil maintains that he was not offered to be a part of Kapil's new show.Last year, Sunil walked out of "The Kapil Sharma Show" after Kapil allegedly verbally abused him and hit him with a shoe during a flight. Kapil, who took a break from small screen for a while, is making a comeback with "Family Time With Kapil Sharma".On Sunday, Kapil decided to keep "nothing personal" and reply back to Sunil in a series of tweets. "Please don't spread rumours that I didn't call you... He is lying. I called him 100 times and sent my people to his home. Even I went to his home to meet him for the show but now I will not let anybody take advantage on my name. Enough is enough," Kapil said.After which Kapil wrote: "Yes, I love him but sometimes it hurts a lot when you do a lot of hard work for somebody and he just wants fame in your name. Why did he choose to speak up now? A year later?" To download Medhaj News Android app click here. You can also follow us on Facebook and Twitter. ‘स्टूडेंट ऑफ द ईयर2’ के पोस्टर रिलीज़ , टाइगर श्रॉफ लीड रोल में ..